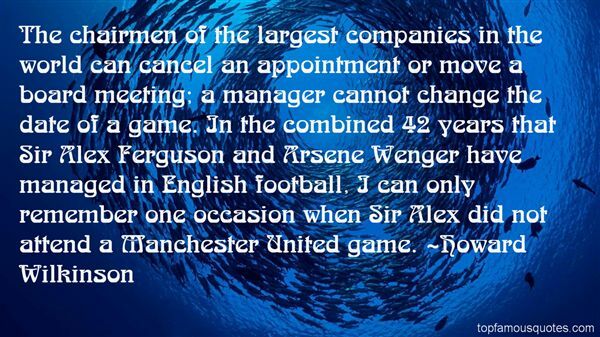 Reading and share top 4 famous quotes and sayings about Alex Ferguson by famous authors and people. Browse top 4 famous quotes and sayings about Alex Ferguson by most favorite authors. 1. "I was saluted by Alex Ferguson when I was subbed and that made me very happy." 2. "Alex Ferguson is the best manager I've ever had at this level. Well, he's the only manager I've actually had at this level. 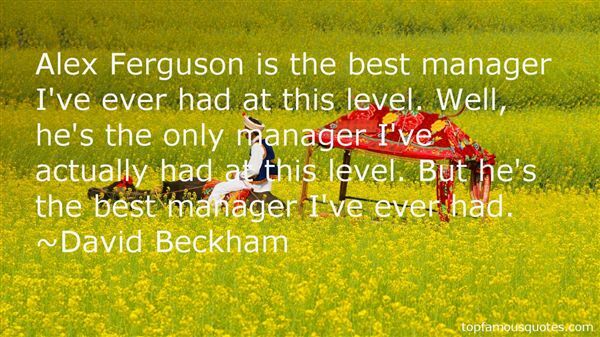 But he's the best manager I've ever had." 3. "The chairmen of the largest companies in the world can cancel an appointment or move a board meeting; a manager cannot change the date of a game. In the combined 42 years that Sir Alex Ferguson and Arsene Wenger have managed in English football, I can only remember one occasion when Sir Alex did not attend a Manchester United game." 4. "But then I always wanted to play for Rangers. Man United is a great club and Alex Ferguson is a legend."